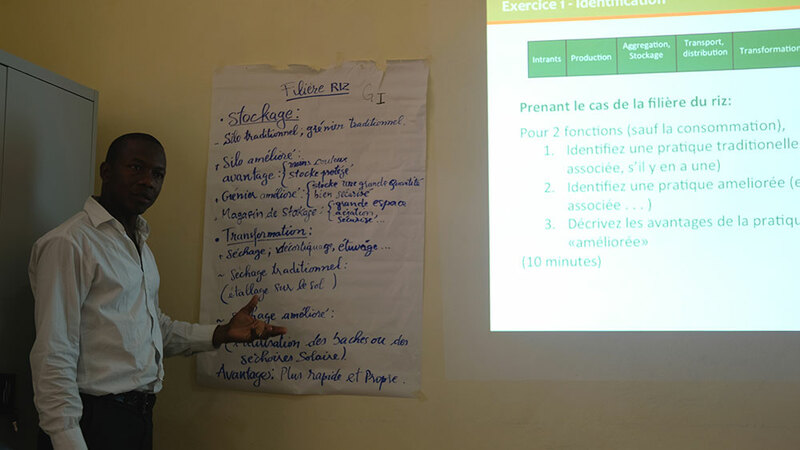 In April 2017, SPRING tested and modified a nutrition-sensitive agriculture training curriculum in Kindia, Guinea, with staff from Feed the Future’s Strengthening Market-Led Agricultural Research, Technology and Education (SMARTE) for the Apprentisage en Vulgarisation, Entrepreneuriat et l’Innovation Rurale (AVENIR) program. 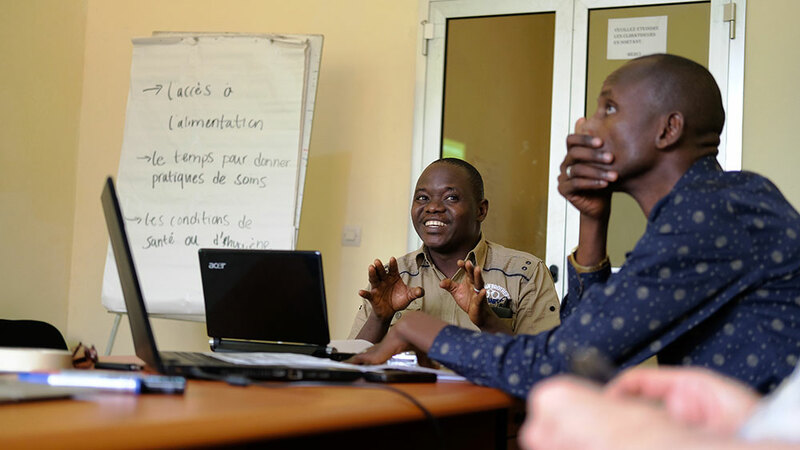 This nutrition-sensitive agriculture training module will be integrated into a four-week training curriculum that Winrock International is developing for SMARTE’s AVENIR program, which trains local “agro-preneurs” how to use agricultural technologies. In April 2017, SPRING conducted a nutrition-sensitive agriculture training in Kindia, Guinea, with staff from Feed the Future’s SMARTE program. 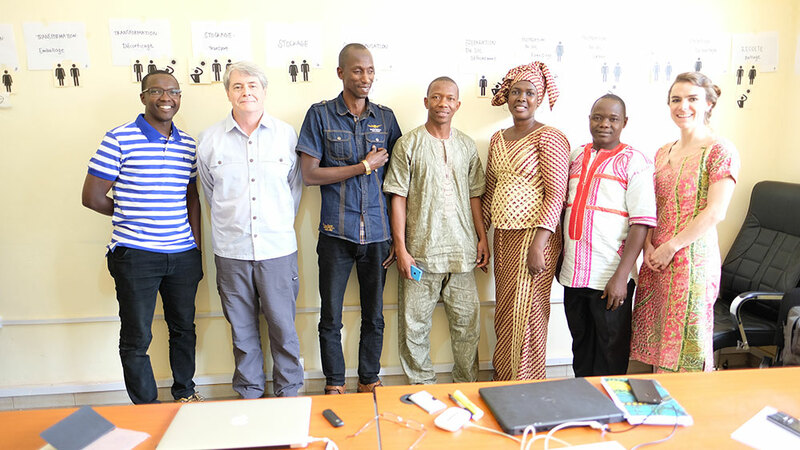 (Left to right): Elhadj Diallo, AVENIR Program Manager; Dr. John Russell, SPRING nutrition-sensitive agriculture consultant; Balde Mdou Saliou, Nutrition Specialist; Souare Mamdou Lamarana, Osez Innover Instructor; Ramatoulaye Sow Diallo, Gender Specialist; Jean Oumar Diallo, AVENIR Program Coordinator; and Sarah Hogan, SPRING Project Officer. 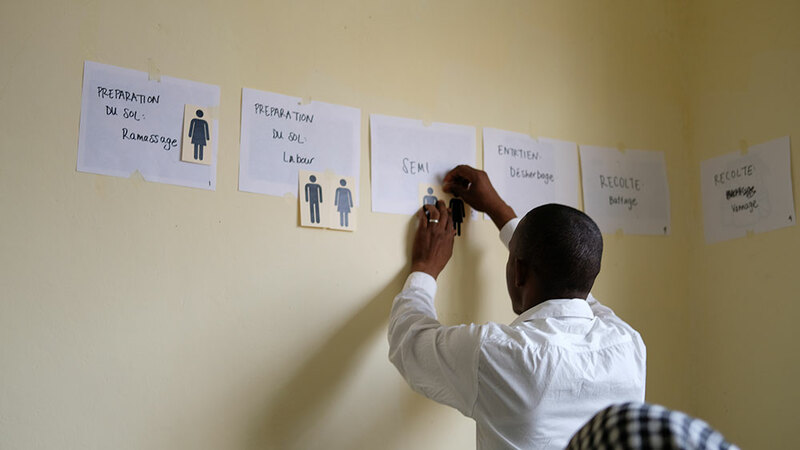 A participant from SMARTE indicates which gender performs the majority of the work during different steps of the rice value chain. 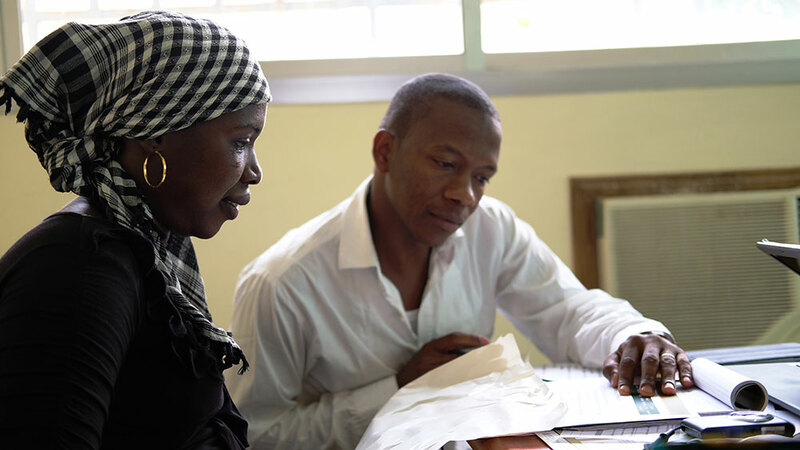 Staff participants discuss improved technologies within the rice value chain. Staff participants explain their group work. A staff participant explains his group’s ideas about the advantages of improved technologies within the rice value chain. 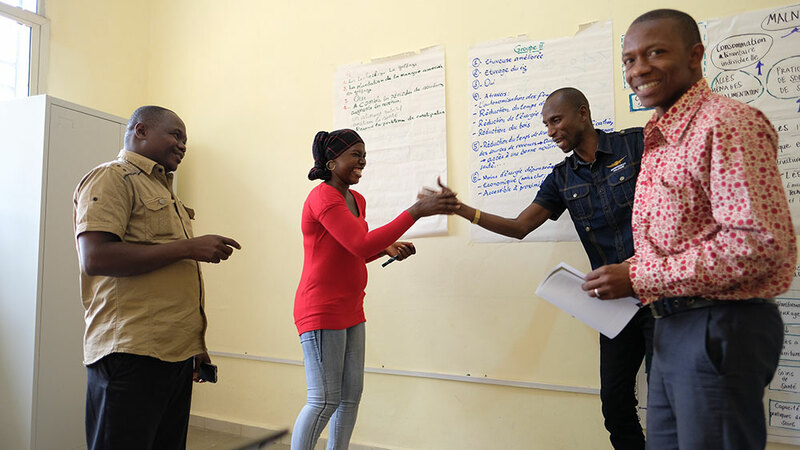 Staff participants conduct a role play, persuading each other to purchase their improved technology for making agriculture more nutrition sensitive.